"It's a wonderful world, if you'll only take the time to go around it!" Based on the famous book by Jules Verne the movie follows Phileas Fogg on his journey around the world. Which has to be completed within 80 days, a very short period for those days. 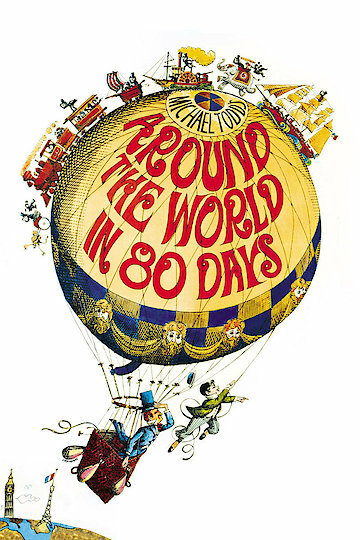 Around the World in 80 Days is currently available to watch and stream, buy on demand at Amazon, Vudu, Google Play, iTunes, YouTube VOD online.